In the mood for a seance? If you were a member of the cultural elite in 19th-century Providence, all signs would have pointed to yes. East Side artists and intellectuals attended seances held in private homes, which also played host to literary salons that engaged with the hot topics of the day. These topics included Spiritualism, which had given rise to the mania for seances, and Transcendentalism, the philosophical movement that advocated for the inherent goodness of man and nature. Today we associate Transcendentalism most readily with Henry David Thoreau and Ralph Waldo Emerson in Massachusetts, but Rhode Island had its share of luminaries involved in the movement, including Margaret Fuller and Sarah Helen Whitman. Margaret Fuller, journalist, educator, and advocate for women’s rights, briefly took up residence as a teacher in Providence’s Greene Street School. Whitman, born and bred in the city, associated in Fuller’s circle and was a well-known poet. Fuller, Whitman, and many other artists and writers would often gather in what quickly became a 19th-century cultural hub of Providence: the Athenaeum on Benefit Street. This Greek Revival-style library generated more than just abstract ideas and elevated conversation: love blossomed here between two writers. 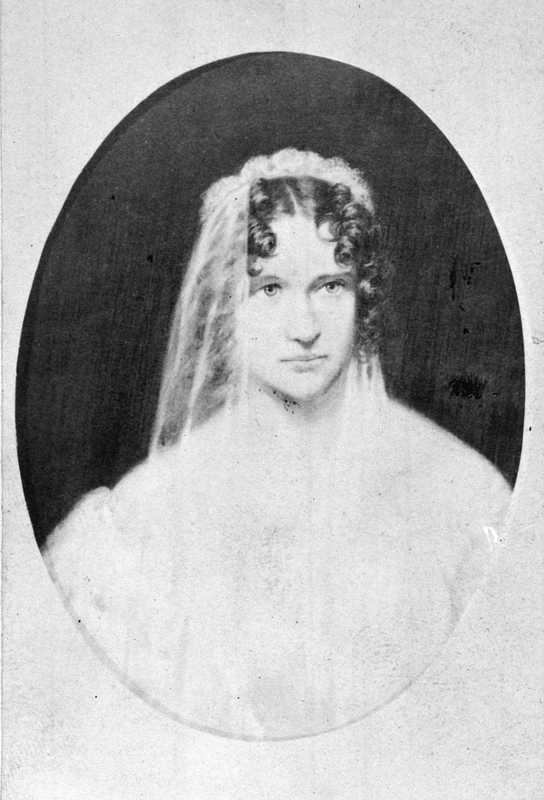 Having spotted her first in a rose garden and where he fell madly in love, Edgar Allen Poe courted Sarah Helen Whitman in the Athenaeum in 1845. Their courtship was short-lived, however: Whitman called off their engagement in 1848 when Poe’s sobriety came into question. In the next century, Providence inspired the work of another creative writer, H.P. Lovecraft, who set his novel “The Shunned House” (1924) in a colonial house down the street from the Athenaeum, at 135 Benefit Street. Athenaeum Scrapbook: In the left hand corner of this image, you can see the Athenaeum's intricately carved well at its front entrance. The well was originally fed directly from the Pawtuxet River and is engraved with the words “Come here everyone that thirsteth.” A legend, which dates back to the nineteenth century, claims that visitors who drink the water will always return to Providence. 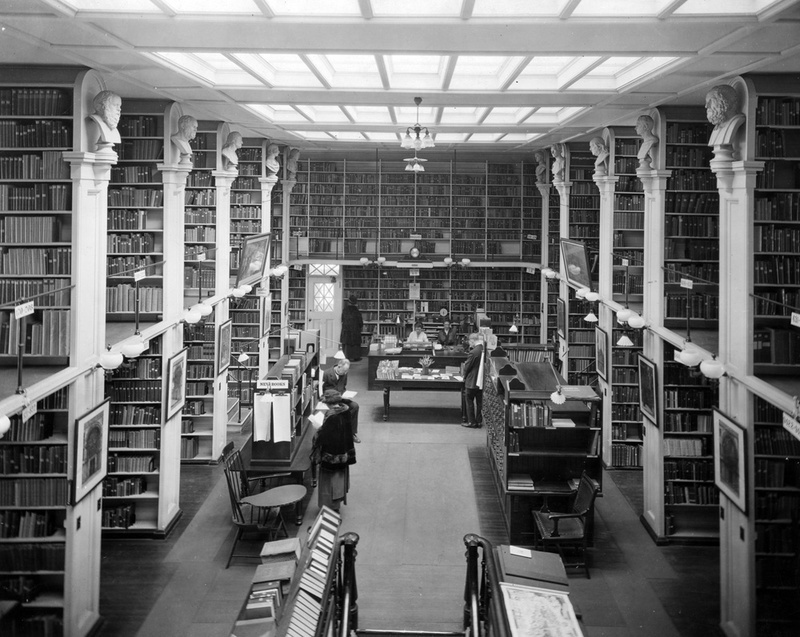 Athenaeum Interior: The Athenaeum's interior today is virtually unchanged from this c. 1930 photograph. You can see the library's card catalog in the center right, which is still in use today. 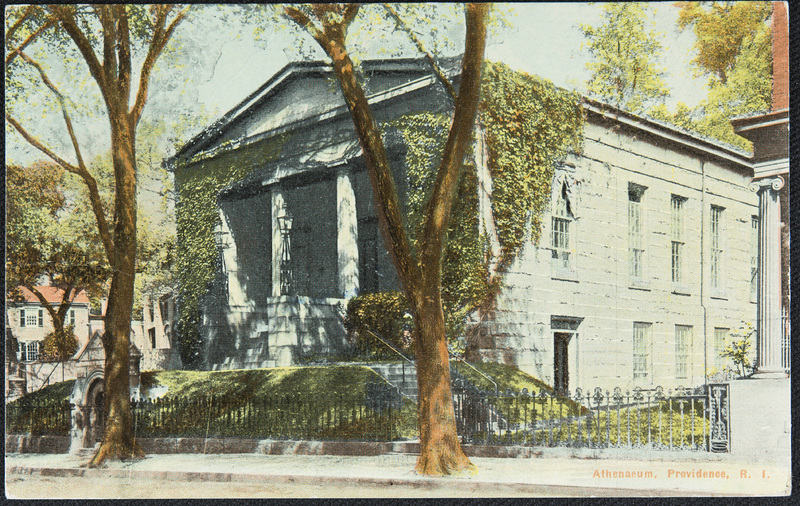 Sarah Helen Whitman: The Athenaeum was constructed in 1838 in a similar Greek Revival style to the Greene Street School (1837) where Margaret Fuller began teaching in 1837. Fuller gave a lecture at the Athenaeum in response to a musical concert by Maria Caradori-Allan, a French operatic soprano. 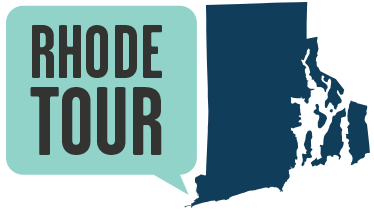 The first libraries in Providence were housed in private homes. Abigail Francis, daughter of prominent merchant John Brown, loaned books to her friends in Providence and recorded which books were lent and to whom. The Rhode Island Historical Society holds this record of her library inventory. Chat with one of the Athenaeum’s staff members about Sarah Helen Whitman, and they’ll likely point out that she watches over the reading room to this day. You can glimpse a portrait of the famed poet from the reference desk. Elyssa Tardif, “The Providence Athenaeum,” Rhode Tour, accessed April 21, 2019, http://rhodetour.org/items/show/188.